My Turn: CA Tahoe Conservancy selling off protected lands? Because the California Tahoe Conservancy apparently is experiencing challenges funding the agency and managing its 4,400+ parcels, the CTC has begun the process of selling off “asset lands” — potentially 322 parcels. Why should the public care? Property owners on the California side and California Realtors should be concerned. Often a buyer’s or seller’s main motivation and price decision is based on whether or not the property is adjacent to “protected” conservancy lands. But the sad new reality is the CTC has bought property, stripped off non-existent coverage “rights” and potential entitlements — and, in the case of these 322 parcels, can now re-sell these environmentally sensitive sites to anyone-including big development. Translation: the CTC now wants to buy up old motel rooms (TAUS) and become the TAU broker for the lake. Does this sound like preservation, protection, restoration to you? It sounds more like a cash-strapped agency trying to justify its existence. Since its inception in 1984 — that’s 28 years ago — the CTC has only transferred 32 properties, mostly for public utility easements and public access. Another kicker: the CTC plans to trade 1,200 acres to California State Parks (900+ acres at Burton Creek) and an additional 1,900 acres to the U.S. Forest Service. Who knows how many private parcels will be affected with this massive land swap? If you are concerned contact Executive Director-Patrick Wright: pwright@tahoe.ca.gov). 5.76 acres off Queens Way (Kingswood West) This acreage is surrounded by residential homes. 14.56 acres above Estates Dr. and Donner (North Tahoe Regional Park Tahoe Vista) Currently this parcel is heavily used by the Public for hiking, ski skating, cross country skiing and access to the balance of the North Tahoe Regional Park and Forest Service lands. 9.21 acres off Ward Creek (West Shore) The Public heavily uses this parcel for hiking, ski skating, cross country skiing and access to the balance Forest Service lands. 1.47 acres 8644 Speckled (Kings Beach). 1.38 acres 359 Chipmunk St. (at the top below Beaver in Kings Beach). What can we do? Demand an explanation from the CTC. Just claiming they don’t have plans to sell all the properties right now is just an evasion. The CTC owes it to every California citizen to have a full comparison and review of the CTC’s old and new missions, as well as the significant change in course under its current leadership. 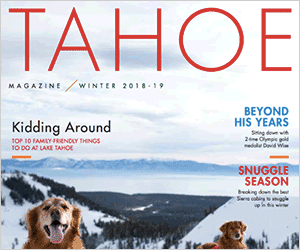 The CTC owes the public an explanation of the sharp turn it has taken with regard to Tahoe’s protected lands. Rather than sell of protected lands, perhaps it’s time for the CTC to wind down the agency just as the State Coastal Conservancy is doing or at the very least offer to sell the parcels to adjacent owners with deed restrictions against development. Ann Nichols is a 42-year resident of the North Shore, a Real Estate Broker, president of the North Tahoe Preservation Alliance and member of the Lake Tahoe Federal Advisory Committee. She can be reached at preserve@ntpac.com.